A scene set in the future. 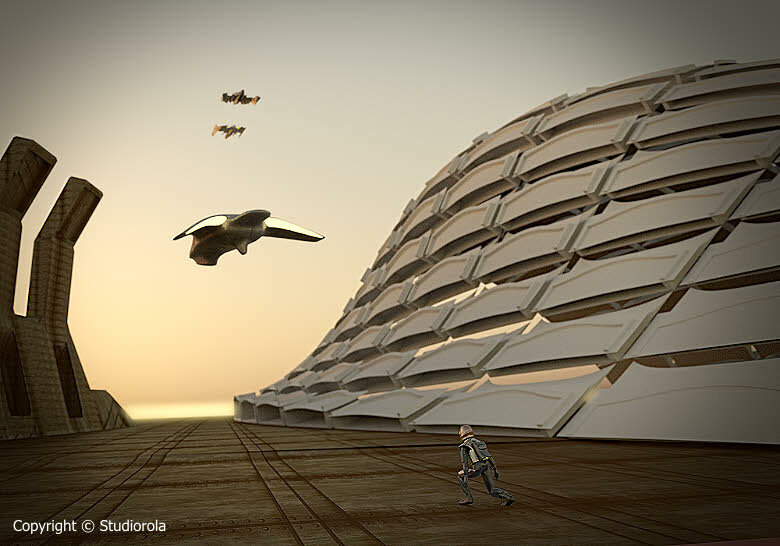 Flying machines, set against a backdrop of futuristic architecture, take off from a hot and dry desert. This piece of artwork was made using an experimental workflow comprising Rhino Grasshopper 3D and Blender Cycles. Basically, the wavy architectural structure was para-metrically constructed using Grasshopper visual programming within Rhinoceros 3D. The Rhino Grasshopper snapshot can be seen below. By the way, Rhino 6 Work-in-progress version was used in the creation. In the version, Grasshopper is in-built within the main program. When completed, the Grasshopper surfaces were baked as Rhino objects and exported as OBJ format. The exported file was next imported into Blender. From here, Blender 3D completely took over. The rest of the stuffs in the futuristic scene were modelled within it. Rendering is done using the fantastic Cycles Renderer. 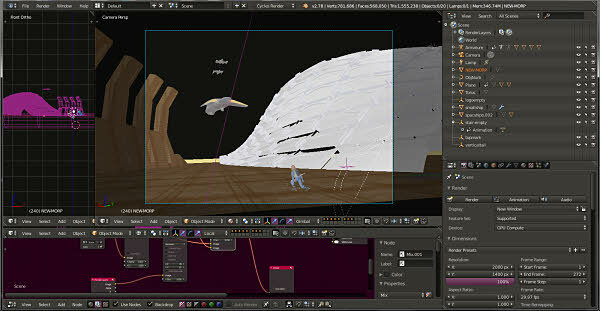 Below is a Blender screenshot of the futuristic scene composed, rendered and post-processed. To speed up the rendering calculation process, GPU-rendering mode was deployed. When the 3D rendering was created, further touching ups were performed using Serif Affinity Photo and Photoplus image editors. 32bit EXR format image editing ensured that exposure tweakings did not result in unsightly banding. The Artwork is created by an Certified Rhinoceros 3D Instructor who is also an avid Blender User.